Ashdown has designed a range of products that are well-equipped for players who demand a versatile and quality practice and gigging solution. The AAA Series is made up of 4 different models, each complete with a set of High and Low inputs, Auxiliary inputs, Ashdown's new Apptek Connectivity, and more. The all new Five 15-BB is the perfect amp for bass players that are just starting out as well as more experienced players who require a quality practice solution. 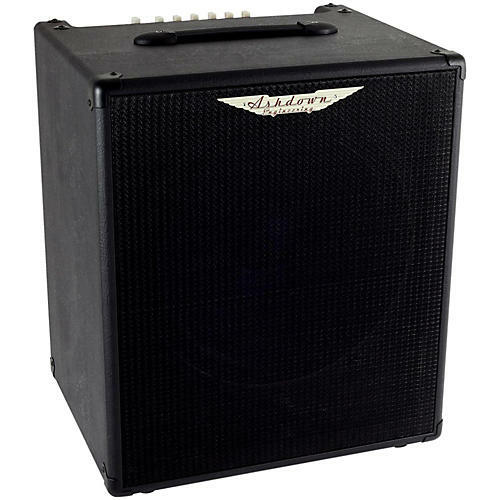 The Five 15-BB provides 220 Watts of bass tone into a Custom 15"" Ashdown speaker. Comprehensive tone shaping options include a 3 band EQ, as well as hi and low inputs. The Five 15-BB is equipped with a footswitchable Drive control, a headphone out, XLR direct out, effects loop, plus an Auxiliary input with mix control. The AppTek feature allows users to connect their smartphone or tablet directly to the amp for further flexibility.